Looking for private in-home or in-studio Opera Voice lessons? Our Edmond teachers are ready to get you started. Find your teacher today! Students will learn how to present their repertoire with healthy technique, clear and correct diction (in all languages), appropriate stylizing, and intentional dramatic choices. Serena is very knowledgeable and super helpful with my daughter' s audition prep. Highly recommend! I am a professional opera singer and voice instructor in New York City. I have an opera, musical theater, church and choral background. I am comfortable teaching all styles of music. Our singing voice is the instrument that we were each born to play. My goal is to make singing effortless and enjoyable and to help my students build confidence in themselves by developing their instrument. Together we will work on breathing, speaking and vocal exercises as well as appropriate repertoire singing with beautiful Italian vowels, free of tension and with emphasis on emotional purpose. It would be my pleasure to work with my students on basic music theory. I can also help students prepare their voices for public speaking engagements. It was great :) Thank you so much Angela! Very friendly and natural style. Lesson well structured and pitched just right. She is fantastic.. looking forward to continuing our sessions! My interest is in developing singers to become a better version of themselves and help them reach their goals. Many of my students are singing professionally in Colorado, New York and internationally. Background includes international and national performance credits in both opera and musical theatre. My last major gig was Carlotta in Andrew Lloyd Webber's German production of Phantom of the Opera in Hamburg, Germany for ten years. We sang eight times a week in German! All backstage activities were in English due to the truly International cast. I loved every minute of living and working in Continental Europe. In May, I'll be singing one of the leading soprano roles with Opera Fort Collins in The Fairy Queen by Purcell. I'm hoping my costume will have a set of white wings like the Gynbourne production. I have studied classical voice from the age of 13 with instructors from The Metropolitan Opera. I have sung classical arias in Italian, German, French and Latin. In our lesson, we will focus on the three pillars of singing: Alignment, breathing, and relaxation. We will work on classical vocal technique through simple exercises. I have exercises for people of all vocal ranges and types. I will adapt my lessons to your specific needs. We will select the perfect music for you to work on, and I will accompany you on piano. If the music is in a foreign language, I can work on pronunciation with you. If needed, I will record piano tracks for you to practice in between lessons. Feel free to reach out with any questions. I can't wait to get started! I am passionate about teaching others music in a way that reaches them. Each person is different and has different needs when entering music lessons. My goal is to assess each individuals particular gifts and skillsets, see their potential as artists and musicians, and encourage and support them to grow towards their goals. I specialize in teaching voice, and have experience in classical, musical theater, and Jazz performance. I would love the opportunity to get to work with you, and help you to grow as a musician! Hi my name is Hailey! I love to sing and absolutely love sharing the gift of music with others. I began to sing and write songs when I was very young. As I got older I pursued my passion of music and have developed my voice and song writing abilities with the help of many amazing teachers. If you would like to learn proper singing technique, while having fun expressing yourself, please contact me to help you! Hailey is a very sweet person and very good teacher! Loved her class! Hailey is the most WONDERFUL instructor! In the short time that she has been a part of our family as my daughter's teacher, we have grown so fond of her not only for her welcoming, patient and charismatic personality but also for her professionalism and knowledge. She has lit up my daughter's love for singing and piano. She looks forward to each and every class and I couldn't be more grateful to have Hailey as my daughter's teacher. I have seem my daughter learn so much already. We love Hailey and look forward to continuing this wonderful learning journey with her. If you are looking for a teacher who is knowledgeable, diligent with the student while at the same time flexible to the student's learning ability and interests than Hailey is it! Best instructor ever :) thank you for all that you do! Hailey is a wonderful teacher!! She is sweet, patient and very flexible. She teaches ukulele to our 7 years old daughter and we are very impressed with her progress. Hailey is very thoughtful of what music my daughter likes and her passion for music is inspiring for our family. She makes learning fun while challenging my daughter at every class and we love having her around! I promote healthy vocal progression via dynamic breathing & vocalizing techniques, range assessments, wellness tips and most importantly, a FUN environment! I have over 20 years of experience in coaching and performing professionally in the music industry. All ages and genres welcome! I’m a qualified Vocal Instructor with a Bachelors of Music in Vocal Performance from Capital University Conservatory of Music. I am a professional musical theatre performer in NYC and I am offering personalized lessons and instructive services to students in the New York City area OR over Skype! I love what I do and have been teaching children performance skills since 2010. I am committed to helping children (especially beginners) interested in the arts explore their musical and performing skills further and to help them reach their full potential. I’m a qualified Vocal/Theatre Instructor with a Bachelors of Music in Vocal Performance from Capital University Conservatory of Music. I am a professional musical theatre performer in NYC and I am offering personalized lessons and instructive services to students in the New York City area OR over Skype! I love what I do and have been teaching children performance skills since 2010. I am committed to helping children (especially beginners) interested in the arts explore their musical and performing skills further and to help them reach their full potential. Paula has been great working with my daughter via Skype and this week we were able to meet her in person in NYC. What a treat for my daughter! Paula Shtein is a gem of a vocal coach for clients of all ages, experience levels and capabilities. She is always prepared, professional, flexible and able to assist with various genres of musical requirements the clients may need her help with at a moment’s notice. She doesn’t waste time at all with pre-class chatter. Paula gets right to work and is extremely efficient and effective. 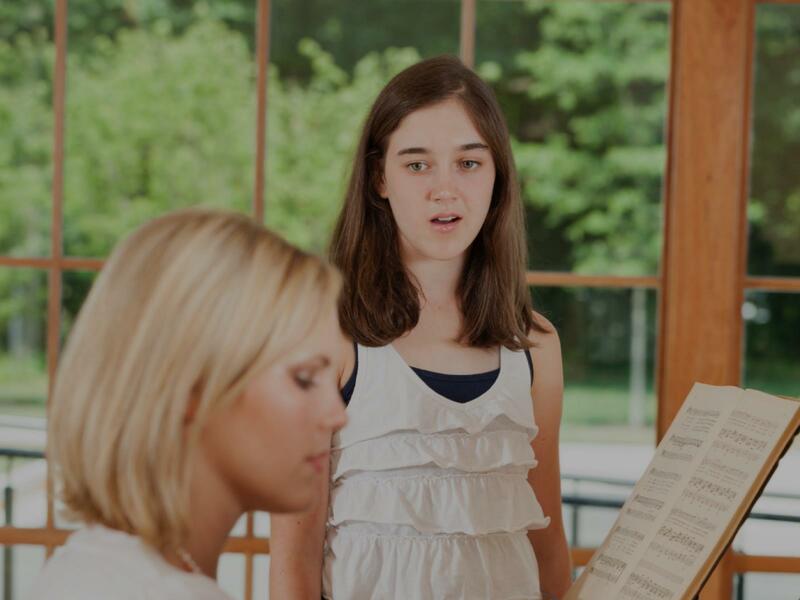 In just a few sessions, Paula was able to help all three of my daughters revamp their vocal and breathing techniques, compile an updated repertoire of songs for their upcoming auditions and refine their vocal presentation (aka vocal performance). With Paula’s help my middle daughter Melania booked a role in Matilda at the Walnut Street Theatre this past holiday season and gave a stellar performances during the entire run of the show. And this past winter, Victoria (10), Sophia (13) and Melania (12) were confident and actually placed at the top of their game among peers their age at a professional workshop in NY. As a parent and manager, I view Paula as a tremendous asset. She is a very hardworking, dedicated and determined vocal coach. Most importantly, she produces results…. consistently and solid results!